The leaves of the West Indian Bay Tree, also known as the Bay Rum Tree,(not to be confused with Bay Laurel ) are the source of the essential oil. Dilute the essential oil in olive oil and use as a stimulating scalp tonic, or use with castor oil in pomenades. Bay rum oil is a classic mens fragrance and has been used in hair tonics for hundreds of years. Known for its ability to stimulate the scalp and encourage hair growth, bay rum is found in many OTC hair care products for men. Classic formulas included bay rum oil mixed with rainwater, ammonia and glycerine. Today we generally do not recommend ammonia for hair tonics for while it does open up the hair shaft (hence its inclusion in hair coloring), it is far too toxic for home use. Bay blends nicely with eucalyptus oil, supporting the effects of eucalyptus during cold and flu season while moderating its intense medicinal aroma. 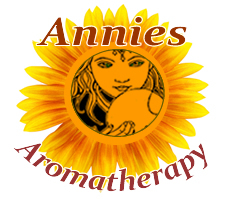 Preparation Methods & Dosage :Essential Oil used in hair tonics and after shaves. Blend with eucalyptus oil for colds. Bay has a spicy, sweet aroma that invigorates, opens the senses and enlivens the spirit. 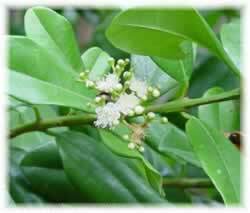 Bay Rum Tree is a medium sized tree native to the West Indies. It is closely related to allspice Pimenta dioica. Oil is distilled from the leaves and a type of cologne named bay rum was historically made by distilling the oil using rum and water.